MedicalAlert by Connect America, one of the nation’s largest providers of personal emergency response systems, is trusted by hundreds of thousands of customers, plus hospitals and healthcare organizations throughout the country – and with good reason. With Medical Alert, you get all the benefits of a big business with the heart, personalization and customer service of a small company. One of the first companies of its kind in the market, Medical Alert has always taken a customer-first approach. They offer a clean and transparent shopping experience, a full suite of dependable products to suit every lifestyle, and unparalleled customer service. 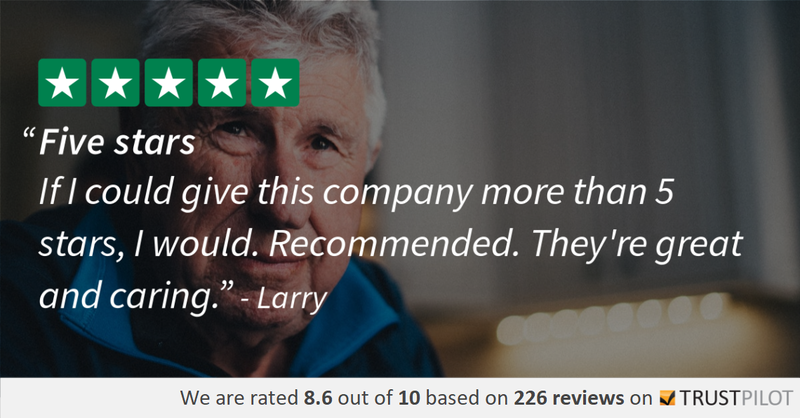 With all of that to offer and more, it’s really no surprise they’ve secured an A+ rating from the Better Business Bureau, and are the company of choice for customers and caregivers nationwide. One of the main things that sets MedicalAlert apart from its competitors is the company’s customer-first approach. From its dependable, easy-to-use products to its superior customer service, Medical Alert always has its customers’ needs top of mind and the shopping experience is no exception. With a clean and easy to navigate website full of clear, helpful information about their products and technology, Medical Alert has streamlined the online buying experience. It’s clear they believe in full transparency – they explain exactly what’s included in each package and provide a comprehensive pricing breakdown. What you see is what you get – no hidden fees or fine print to comb through. To purchase, all you have to do is click the system you want to get started, and you can opt to add the protection plan or fall detection to your package with ease. If you’re uncomfortable making your purchase online, or if you’d simply like to learn more about your options, you can call and speak with a friendly customer service representative. They are standing by to answer any questions you have. And if you aren’t sure if an emergency monitoring system is for you, MedicalAlert offers a Free Medical Monitoring Assessment right on the site to help you decide. Whether you’re seeking security in the comfort of your own home or you‘re looking for something to support your on-the-go lifestyle, MedicalAlert has you covered. With all products, a simple push of a button connects you instantly to a highly trained emergency response operator who determines and sends the help you need — anytime, anywhere. So whether you’ve suffered a serious injury or just want to notify a caretaker of your whereabouts, help is always standing by. All of the devices come with battery back-up so you’re protected in the case of a power outage, and they are all incredibly lightweight and waterproof, so you can even wear them in the shower – where accidents frequently occur. Feel safer than ever in the comfort of your home with a two-way speakerphone alarm base unit that works with or without a landline, and lightweight wrist and neck buttons. Just press the help button on any device and an operator will respond immediately. Setting up the at-home systems is a breeze. 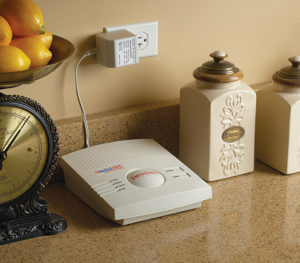 You simply plug the base station unit into a wall outlet to power it up, connect the phone cord (if your system requires a landline) and then turn it on. That’s it. You can rest assured you’ll get the help you need wherever your life takes you with this exclusive system, which uses GPS technology to identify your location should you need help. It includes a handheld mobile device, lightweight wrist and neck buttons, carrying case, charging cradle and cord. Just press the help button on any device to reach an emergency operator. The On-the-Go system is extremely easy to set up. Just make sure the mobile device is fully charged. Once it’s charged, you’ll want to test the system by pushing the emergency button. An essential for seniors (one in four Americans 65+ fall every year), this invaluable service ensures that an emergency responder is immediately notified if you fall — even if you can’t press your button. The advanced technology is built into a special pendant and can be added to any plan for just $10 a month. Despite the high quality of their technology and services, MedicalAlert is one of the most affordable medical monitoring device companies on the market. Being one of the largest businesses of its kind, Medical Alert is able to produce systems at higher volumes… and they pass those savings onto their customers. They also offer a variety of options to suit every budget. You can pay monthly, semi-annually or annually, and pricing starts at just $18.29/mo for the annual plan. Automatic Fall Detection is available for just an additional $10 per month. Unlike many of its competitors, MedicalAlert has no activation, installment or equipment fees. And they offer free shipping. You’re never locked into any long-term contracts, and they stand behind their services with a 30-day, risk-free Money Back Guarantee. So if for some reason you aren’t 100% satisfied with their service, you can cancel without penalty. Connect America’s MedicalAlert has been a trusted leader in the emergency monitoring industry for over 10 years providing protection to hundreds of thousands of customers. They are always updating their products to include the most cutting-edge technology, and their systems are regularly tested for ultimate reliability. Their multiple ULC-listed monitoring centers are standing by 24/7 to take your call, and all of their centers are staffed by SIA-certified operators. MedicalAlert by Connect America is a member of the Medical Alert Monitoring Association (MAMA), they have an A+ ranking with the Better Business Bureau and they are recommended by hospitals, home health care agencies, and healthcare professionals nationwide. Customers rave about the company’s dedication to stellar customer service, and we couldn’t agree more. MedicalAlert offers all the benefits of a big company, with the accessibility and appeal of a small, family-owned business. They are transparent in their terms and conditions; what you see is what you get. They take a customer-first approach to business, and it is clear that their users’ safety is what drives them. Not only that, they offer a 30-day Money Back Guarantee. So, if for some reason, you aren’t 100 percent satisfied with your purchase, you need only return it within 30 days, and you’ll get a full refund. With MedicalAlert by Connect America, one of the largest independent providers of personal emergency response products, you’ll enjoy the independence you love and the security you need knowing that help is always just a button push away. The company offers a full suite of affordable, easy to use products designed to keep you safe at home and on the go. They also offer Automatic Fall Detection, an invaluable service through which a highly trained crisis operator is notified of a fall even if a user cannot push the help button. Their products are lightweight, waterproof and truly reliable. Their prices are also extremely affordable, and their customer service is unmatched, making them a great choice for those looking for safety, security and ultimate peace of mind. SPRING SALES EVENT: PROTECTION NOW JUST $19.95/mo.